Planning decision notices, plans, information on applications and other information held by the Planning Control section can be copied for you to take away from our offices. Charges are made for this service. 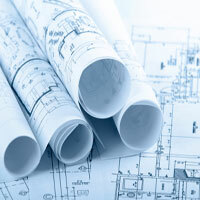 Decision Notices and approved or refused plans can be viewed, and printed, free of charge via the Planning Application Search facility. If you still require copies, or plans reproduced to scale (where possible), then an itemised list of the photocopying and printing charges is provided in our Fees and Charges download. To request your copies, please provide a complete list of the documents (and which pages) you require, including the planning application reference for each; as well as specifying how many copies of each item. This list can be sent to Development Control either by email or by post. We will aim to give you an indication of likely cost and timescale for delivery/collection of the copies as soon as possible, and advise you on how to make payment of the charge. Please be aware that provision of copies could take up to 20 working days during busy periods.